Music & Art are happing day and night. 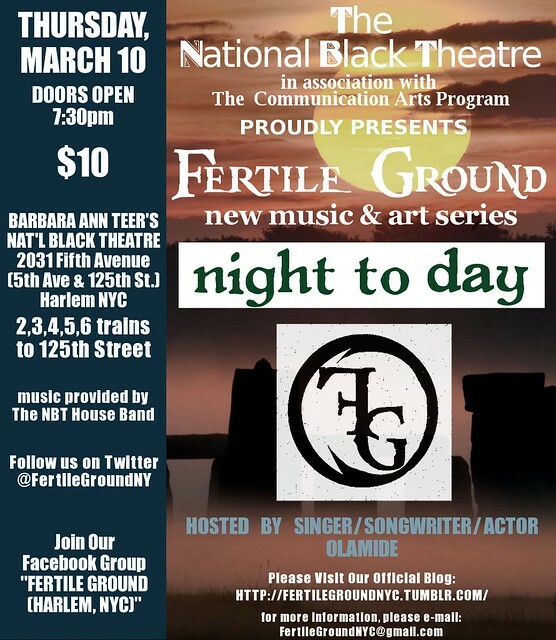 Come join us for great music & art at F.G. : night to day! The flyer & more information are coming, but in the meantime, check out this voicemail I left for our supporters about the next Fertile Ground!